GALT, Sir ALEXANDER TILLOCH, businessman, politician, author, and diplomat; b. 6 Sept. 1817 in Chelsea (London), England, youngest of the three sons of John Galt* and Elizabeth Tilloch; d. 19 Sept. 1893 in Montreal. Alexander Tilloch Galt, who was of Scottish descent, spent his early years with his brothers John and Thomas partly in the London area, partly in Scotland. His childhood and adolescence were steeped in the curious mix of adventure, literary creation, and speculative enterprises that fell to his father’s lot. His maternal grandfather, Alexander Tilloch (Tulloch), a university graduate and member of learned societies, was a publisher of various newspapers and journals. According to a contemporary, his mother’s “sway with her sons, especially the youngest, [was] absolute,” and in fact she had to look after her children’s education by herself since her husband was often absent, travelling or working as a lobbyist for various groups. From childhood Alexander must have dreamed of Canada, a country that promised adventure and swift success to the enterprising. His father’s friends included Edward Ellice*, the London financier behind the reorganization of the fur trade in British North America under the Hudson’s Bay Company in the period 1821–24. John Galt in 1820 had become the agent for a group of Upper Canadian residents who were trying to obtain compensation from the British government for losses suffered in the War of 1812. Because of this concern, in 1824, along with some London merchants, he set up the Canada Company, a colonization venture which purchased huge tracts of crown land in the vicinity of Lake Huron. Young Galt followed from afar the heroic efforts of his father, who was planning the new town of Guelph in the thick of the forests of Upper Canada. In 1828 he was able to set out for the New World with his brothers, but their parents kept them away from pioneering and directed them into serious studies at the new Anglican seminary in Chambly, Lower Canada [see Charles James Stewart*]. There Alexander Galt began a solid classical education under Joseph Braithwaite. But his father’s dismissal by the directors of the Canada Company led to the return of father and son to Great Britain in June 1830. Despite this set-back and serious financial difficulties, John Galt devised a scheme for colonization and land speculation in Lower Canada, which resulted in the creation in 1834 of the British American Land Company. He was still sufficiently influential to obtain the appointment of his youngest son as bookkeeper in the office it opened in the village of Sherbrooke in the Eastern Townships. In March 1835 young Galt again departed for Lower Canada. Galt was initiated into the routine management of the newly formed company under such local businessmen as Samuel Brooks, Arthur Webster, and John Fraser, who were successively in charge of the Sherbrooke agency. He was a witness to the striking success of this colonization project in the years 1835–37, when the British American Land Company built roads, bridges, and even villages for immigrants and transformed Sherbrooke from a modest village into a small town with well laid-out streets. He also saw the virtual collapse of the undertaking, the dwindling of European immigration with the crisis in 1837–38, the pioneers’ abandonment of cleared lands, and the company’s enforced return of some lands to the crown. Despite his junior rank, Galt made a shrewd analysis of the prospects for the project, which was no longer bringing in anything to its British shareholders. 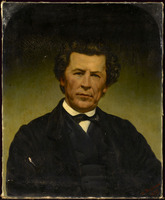 In 1840 he wrote a report indicating that it might eventually turn a profit again if it attracted American or Canadian settlers (who were better adapted to pioneer life than were European immigrants), made the purchase of land easier for settlers by extending the period of payment, and accepted payments of arrears in kind. Giving the first sign that he felt he belonged to a nation in the making, Galt also suggested the company’s Canadian commissioner be allowed considerable autonomy in making decisions. His report ultimately reached the head office in London, which decided to recall this far-sighted employee to England for a closer examination of the situation. During the years in Sherbrooke, Galt had not only become acquainted with the region, its resources, and its inhabitants, but had also fitted himself gradually into the community of businessmen and half-pay officers who, under the aegis of Edward Hale*, formed the nucleus of a local bourgeoisie. In November 1842, on the eve of his return to London, Sherbrooke’s fashionable society honoured him with a farewell banquet. It seemed clear to everyone that this able administrator was marked for advancement to senior office in England and would not be coming back. Galt was put in charge of the British American Land Company’s London office. He had ample opportunity, therefore, to bring the directors around to his views on a new and more profitable system of managing the land holdings in the Eastern Townships. His superiors decided to trust his judgement and sent him back to Canada in October 1843 as secretary of the company. The following February, when he returned to England and reported on the introduction of the new policy, he was promoted, at the age of 26, to the position of commissioner, the highest Canadian office in the company. During the 12 years he held this post in the Province of Canada, Galt, with the backing of his superiors, had enough independent authority to make decisions about reinvesting some of the money received from the sale of land in various land developments and in manufacturing and railway ventures. These investments were designed to provide outlets for a region that had hitherto been poorly provided with means of communication, and also to develop Sherbrooke as an urban, industrialized centre. 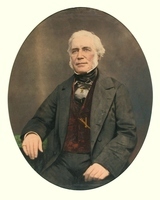 Thus, disposing of sizeable funds and broad powers, he became, with the company’s money, the architect of Sherbrooke’s industrial beginnings in the period 1844–54. Galt’s strategy involved building new dams, offering industrial sites with long leases, making construction loans to the lessees, and promoting manufacturing concerns directly. Thanks to him the shores of the Rivière Magog were dotted with workshops and small factories as well as larger ones such as Adam Lomas’s woollen manufactory, the flour-mill belonging to Edward Hale and George Frederick Bowen, and William Brooks’s paper-making firm with its two factories and new Fourdrinier machine. In addition Galt managed two enterprises of the British American Land Company itself: a large sawmill and then, in 1851, a factory for making pails. But it was unquestionably the establishment of cotton goods manufacturing in 1844 that best illustrates the decisive role he played in bringing the Industrial Revolution to Sherbrooke. The Sherbrooke Cotton Factory, the first cotton mill in the province and the first joint-stock industrial company to be incorporated in Canada, was launched with local capital in 1845. 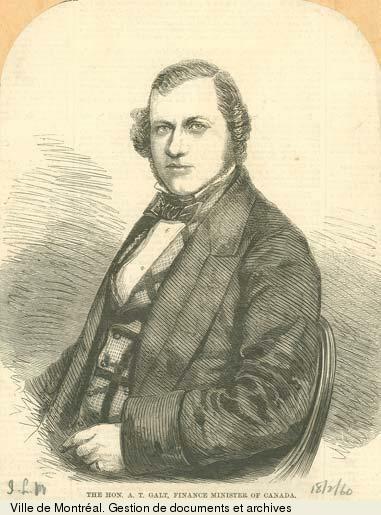 Galt personally contributed £500, and when in 1847 the factory was on the verge of bankruptcy, hampered by the constraints of its charter and the inability of numerous small shareholders to pay for their subscribed shares, Galt himself bought back the assets for British American Land. With help from Hale and an American manager, Charles Philipps, he started it up again in 1848 by providing more capital and overseeing operations. So successful was he that by 1851 the company was flourishing and he was able to sell it for £3,000. After 1844 Galt also distinguished himself as a railway promoter. It was this activity that would finally lift him out of the confines of the Eastern Townships and make him a national figure. The earliest plans for building a railway to end the isolation of the area through links with Montreal and Boston dated from 1835, the year Galt arrived in Sherbrooke. Put aside during the political and economic uncertainties of 1837–38, the idea had been taken up again in 1840 and a company of businessmen from the Sherbrooke region under Hale’s direction was incorporated in 1841. Galt was among the promoters, but in the minor capacity of secretary or organizer of meetings. This second initiative was abandoned for want of capital, but during Galt’s stay in London in 1843 a third attempt was made, again by promoters from Sherbrooke, which was to lead to the incorporation two years later of the St Lawrence and Atlantic Rail-road Company. When he returned in May 1844, Galt enthusiastically endorsed the project: he would soon be its chief organizer, along with Samuel Brooks and Hale. These two men, who would be re-elected to the Legislative Assembly of the Province of Canada in November, secretly promised in Galt’s presence to oppose any ministry that refused to give financial aid to the railway. Once the company had been incorporated, Galt took $30,000 worth of shares in his own name and $96,000 worth on behalf of the British American Land Company. 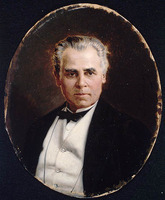 To persuade the Montreal public to invest heavily, he brought into play his connections with Peter McGill* and George Moffatt*, both former representatives of the land company in Canada. 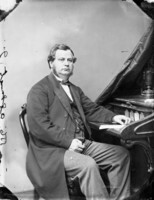 In June 1845 Galt was elected a director of the St Lawrence and Atlantic Rail-road, the only one, with Brooks, from the Eastern Townships, on a board chaired by McGill. Galt was instrumental in determining the route for the line, which was to cross the Eastern Townships, and in the choice of Portland, Maine, as the terminus rather than Boston [see John Alfred Poor*]. Once again he was sent to London, in July, to interest British investors in putting up the £500,000 capital still needed. His efforts met with limited success, as did another attempt to sell bonds on the London market in 1847, but, having faith in the future, Galt persuaded his fellow directors to begin construction anyway. Late in 1848 the first section, from Longueuil to Saint-Hyacinthe in Lower Canada, was completed. The company was short of capital, however, and had to turn to the government. George-Étienne Cartier* presented their petition to the cabinet of Louis-Hippolyte La Fontaine* and Robert Baldwin*. It proved the critical step in securing passage in 1849 of a bill devised by Francis Hincks* stipulating that the Canadian government would guarantee payment of the interest on half the bonds of any railway with a line more than 75 miles in length, provided half of it had already been built. To take advantage of the act the St Lawrence and Atlantic had to build another 45 miles of track, from Saint-Hyacinthe to Richmond. The company directors, at the end of their resources, entrusted both the chairmanship of the board and direct supervision of the work to Galt. With the help of Montreal promoter John Young*, he got the operations funded again by selling £50,000 worth of bonds to the Séminaire de Saint-Sulpice in Montreal and to the British American Land Company. 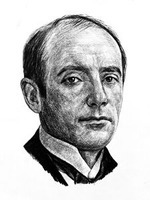 He also removed the contract for construction of the line from the American firm of Black, Wood and Company and transferred it, with himself as supervisor, to engineer Casimir Stanislaus Gzowski. Thus, albeit with enormous financial difficulty, he was able to get the line built as far as Richmond in 1851 and thereby to obtain the government guarantee. The line to Sherbrooke was inaugurated by Governor Lord Elgin [Bruce*] in 1852, and the following year trains were running from Longueuil to Portland. 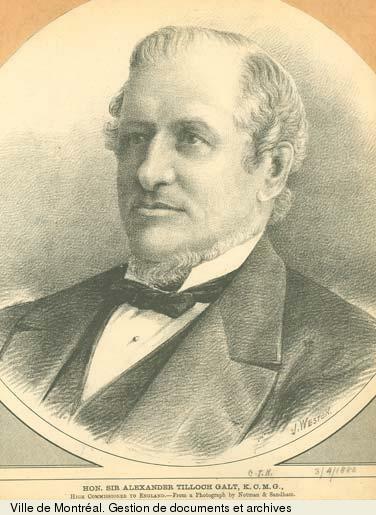 Late in 1850 Galt and Montreal promoters such as Luther Hamilton Holton* and David Lewis Macpherson had foreseen that Montreal would benefit economically if the railway to Portland were supplemented by a link between Montreal and Kingston in Upper Canada, or even Toronto. Consequently, in August 1851 they had the Montreal and Kingston Railway Company incorporated. 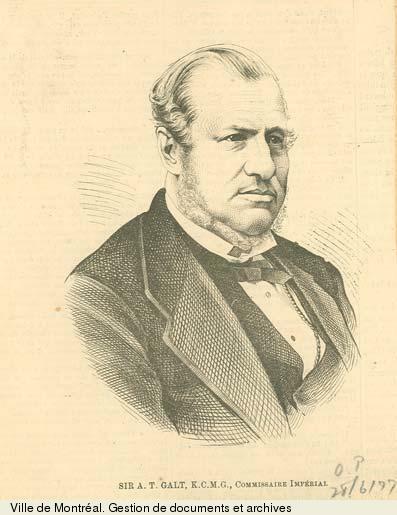 At the same time, under the impetus of Joseph Howe*, the provincial secretary of Nova Scotia, the idea of building an intercolonial railway from Halifax to Quebec was eliciting a favourable response from the government of the Province of Canada. 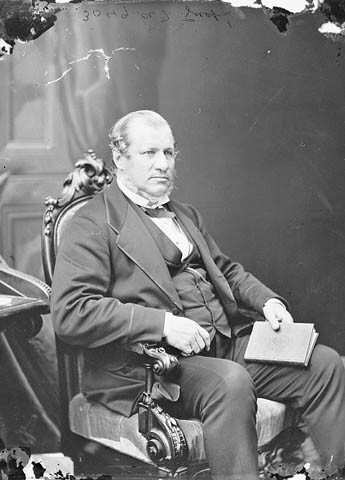 Hincks was arguing for construction by the state of a line from Quebec to Windsor or Sarnia, Upper Canada. When this ambitious project was abandoned because the government in London, England, would not provide a financial guarantee, Hincks entered into negotiations with the British construction company of Peto, Brassey, Jackson, and Betts to construct a line from Montreal to Hamilton in Upper Canada. This plan was in direct competition with the project being advanced by Galt and his associates, and in August 1852, fearing the loss of their charter, they subscribed the entire capital for the Montreal and Kingston Railway, with Galt, Holton, and Macpherson each taking £199,000 in shares. 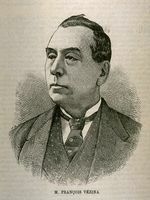 Galt then fought hard, but in vain, before the assembly’s railway committee to persuade the mlas that his plan would cost less and would be completed before that of Hincks and William Mather Jackson. Having run out of expedients, Galt and his associates merged the Montreal and Kingston Railway with the St Lawrence and Atlantic. With the clear advantage they gained thereby, they were able to bring Hincks around to making arrangements with Galt for the amalgamation of the various projects and the creation of the Grand Trunk Railway, with a main line to extend from Trois-Pistoles, Lower Canada, to Sarnia. Galt proved a first-rate negotiator. He had the Grand Trunk buy the St Lawrence and Atlantic Rail-road’s line for £8,500 a mile, as well as assume its $600,000 debt to the city of Montreal, the Sulpicians, and the British American Land Company. He also negotiated an additional £75,000 as compensation for the shareholders of the St Lawrence and Atlantic. Since their shares were exchanged at par with the new company’s, although they were worth barely half that on the market, it is understandable that the shareholders voted Galt a commission of about $7,000 along with the usual thanks. But Galt’s ambitions did not stop there. 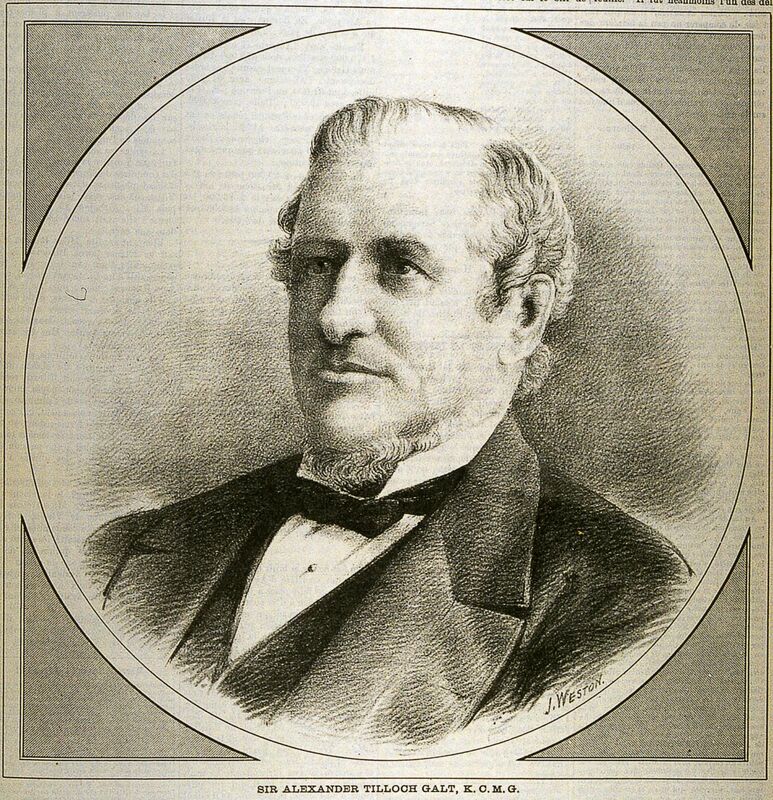 In November 1852 he went into partnership with Holton, Macpherson, and Gzowski to form a railway construction firm, C. S. Gzowski and Company. Their first contract was for building the Toronto to Sarnia line. Galt managed to finance it through bonds issued on the London market and also secured its inclusion in the Grand Trunk plan as the section running west from Toronto. Thereupon he got the Grand Trunk to award the Gzowski firm the contract for the work from Toronto to Sarnia at a cost of £8,000 a mile. Although Galt’s participation in this company ended in 1858, it was undoubtedly as a railway builder that he laid the basis of the considerable personal fortune which would later serve as capital in various speculative undertakings. He had a splendid residence in Sherbrooke, called Rockmount, where he had the honour of receiving the Prince of Wales in 1860. 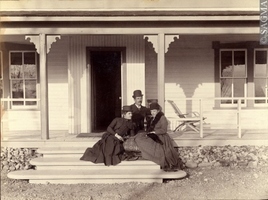 In addition, he bought huge properties on the outskirts of Montreal, which he sold in 1871 for $60,000. He owned land in Portland, where he erected grain elevators connected with the Grand Trunk terminus. 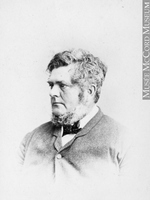 During the copper-rush in the Eastern Townships in the 1860s, he went into partnership with engineers Thomas MacCaw and Walter Shanly, developed the Ascot mine near Lennoxville, built a blast furnace to reduce the ore, and succeeded in selling the business for $127,500, a colossal sum for the period. As well, he was one of the promoters of the Ives mine in Bolton Township. 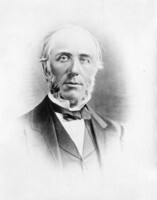 Galt also invested heavily in banks: he held shares worth more than $26,000 in the Commercial Bank of Canada in Upper Canada, and he promoted the Eastern Townships Bank, which opened at Sherbrooke in 1859, subscribing $10,500 in shares. 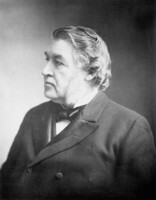 In short, with his interests in manufacturing, railways, land, mining, and banking, Galt typified the versatile bourgeoisie forming in Canada in the mid 19th century. As was common at the time, the connection with railway development would almost ineluctably draw him into politics. 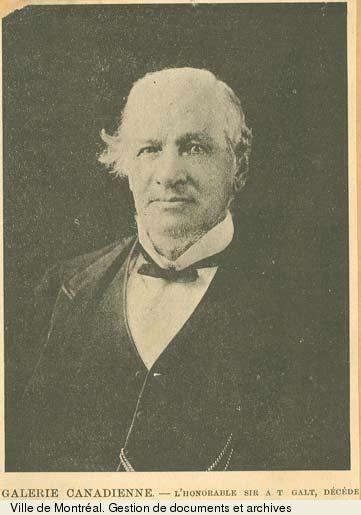 When the mla for Sherbrooke, Samuel Brooks, died suddenly on 22 March 1849 half-way through the session, the most influential citizens of the region asked Galt to take his place. Despite some reluctance to accept this new responsibility without having obtained the approval of his superiors in the British American Land Company, he was elected by acclamation in April 1849. This was the stormy period that saw approval of the Rebellion Losses Bill, when Governor Lord Elgin was booed by the crowd and the parliament buildings in Montreal were burned down. Galt represented a riding traditionally conservative. During the election, however, he had defined himself as independent of the parties but conscious that for the sake of the region he must not remain in sterile opposition. In November 1849 the Montreal merchants’ manifesto in favour of annexation to the United States [see James Bruce; David Kinnear*] aroused great enthusiasm in the Eastern Townships, and Galt was urged by a petition from more than 1,200 of his constituents to take a position. In a subtle but earnest speech he endorsed the annexation argument. 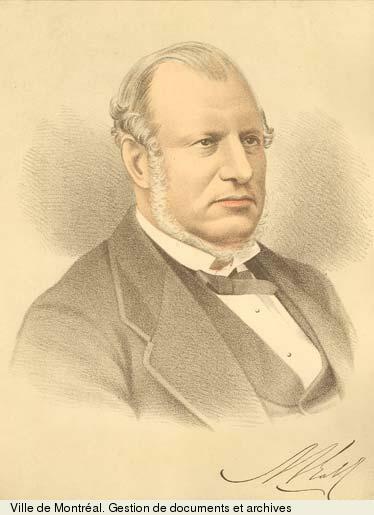 As a result of criticism from his superiors in London regarding this initiative, the moving of parliament to Toronto, and his growing involvement in railway construction, Galt resigned his seat on 10 Jan. 1850. 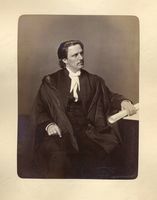 When in November 1852 Edward Short*, the member for the town of Sherbrooke, was appointed to the bench, Galt had the opportunity to re-enter politics, and in a by-election in March 1853 he was returned by acclamation. He was re-elected continuously until 1867. 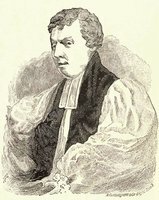 Although he sat as an independent, he was in favour of certain important reforms, for example the abolition of seigneurial tenure [see Lewis Thomas Drummond*], secularization of the clergy reserves, the secret ballot in elections, and strict separation of church and state. This attitude brought him close to such fellow members as Luther Hamilton Holton, Antoine-Aimé Dorion, and John Sewell Sanborn*, and earned him the tag of Rouge. Galt was, however, too closely linked at the time to the railway enterprises receiving government subsidies for his reputation not to be sullied by the regular and vicious attacks in both houses of parliament denouncing the collusion between politicians and these companies. 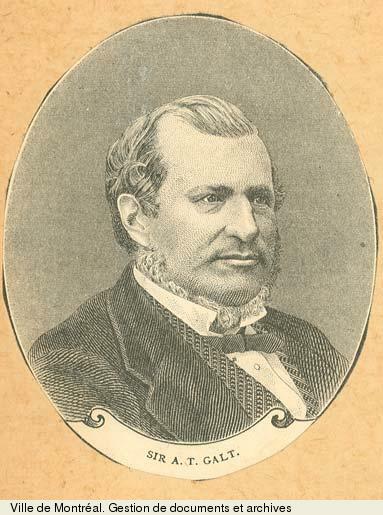 The accusations made against him in 1857 by the select committee inquiring into the Grand Trunk and in particular by its chairman, George Brown*, the leader of the Upper Canadian Clear Grits, had the effect of gradually separating Galt from the most radical of his colleagues in the opposition. 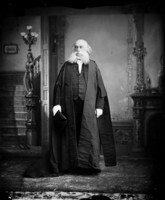 In the December 1857 elections Galt promised his constituents that as an independent he would support the government of John A. Macdonald and George-Étienne Cartier, but not uncritically. At the same time Macdonald, with his usual perspicacity, in confidence remarked, “You would make a decent Conservative.” “Do become true blue at once,” he added. Galt kept his distance, however, until late in July 1858, when the cabinet was defeated over the choice of the capital for the Province of Canada. 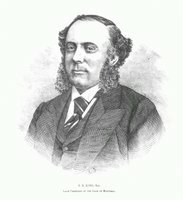 Governor Sir Edmund Walker Head* immediately called on Brown and Dorion, as leaders of the opposition, to take office. When they lost a vote of confidence in the assembly two days later, Head, sooner than resort to dissolution, sought another ministerial combination, inviting Galt to form the government. Galt declined the honour and suggested Cartier, who became co-premier with Macdonald. 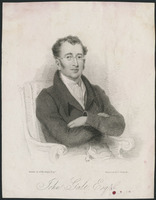 Yet Galt agreed to join the new cabinet and replace William Cayley* as inspector general, the title given at the time to the person responsible for the Department of Finance. In the space of a few months he had gone from being an independent close to the Rouges to being a pillar of the Liberal-Conservative government. Some of Galt’s Sherbrooke constituents had difficulty understanding this rapid shift, and Joseph Soper Walton’s Sherbrooke Gazette, which had been his unofficial organ since 1849, began systematically to criticize him. Galt was then given a good reception in the pages of rival local newspapers such as the Canadian Times (which became the Sherbrooke Leader and later the Sherbrooke Freeman). 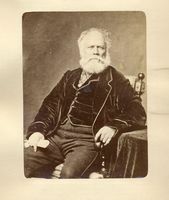 Since he was skilfully piloting through the house private members’ bills essential to the development of his region, such as a bill granting a charter to the Eastern Townships Bank, he was able to retain the goodwill of the leading citizens of Sherbrooke. The political positions defended in 1858 by the new minister were of a kind to give him national stature once more and thus to enhance the public esteem he enjoyed. Galt had made his acceptance of office in the new ministry conditional upon its adoption of a plan for federation of the British North American colonies. Like others observing the political scene, he was conscious that it was becoming increasingly difficult to maintain the principles of equal representation of Lower and Upper Canada within the union. But he was one of the few who believed that the solution lay in replacing the union based on equality with a federative system in which New Brunswick, Nova Scotia, Newfoundland, Prince Edward Island, and other colonies would participate. At that time, moreover, Galt had quite a detailed conception of how powers within such a federation might be organized: a central government with fundamental as well as residual powers, the creation of a supreme court, and payment of federal subsidies to the provinces. He persuaded his colleagues to make this plan for a federal union an explicit aim of the new government. With the encouragement of Governor Head, three ministers – Galt, Cartier, and John Ross* – went to Britain in October 1858 to study the proposal with officials in the Colonial Office. However, the imperial authorities had no great enthusiasm for the plan, and the other colonies made little response. Back in Canada early in 1859, Galt himself admitted before the house the impossibility of moving the plan forward for the time being. Thereafter Galt concentrated on resolving the serious financial problems that had plagued the province for some years and that circumstances prevailing in 1857–58 had made worse. The revenues of the province came basically from import duties, a few indirect taxes, and the sale of crown lands. 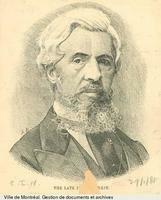 Galt saw that the period of prosperity in the early 1850s, which had been heightened by the flow of British capital for railway construction, had given way to a phase of commercial and financial depression attributable to the combined effects of the Crimean War and a banking crisis in the United States. The decline in imports explained the drop in moneys received by Canadian revenue authorities from duties. On the other hand, the provincial treasury was obliged to pay the interest on the railway companies’ bonds, having guaranteed payment to the investors – for the most part British – in the event of default by the companies. The same held true for the municipal debentures placed on the London market in the prosperous early part of the decade, bonds which most municipalities could not redeem when the depression came. The government, which was only the fiduciary for these debentures and not the guarantor, nevertheless had to pay for the defaulting municipalities. All these difficulties had forced the provincial treasury in 1858 to pay more than a million dollars in interest on the various bonds, a massive drain equal to 60 per cent of its revenues. Galt had made a detailed analysis of the entire situation when he entered the Cartier–Macdonald government. He managed to lower the cost of redeeming earlier loans by consolidating debts and renegotiating them on favourable terms, but he could not prevent a new increase in import duties, a policy initiated by his predecessors in government in 1856 and 1858. The 1849 rate of 12.5 per cent ad valorem jumped in 1859 to 20 or even 25 per cent, depending on the nature of the items. By means of this increase in duties Galt killed two birds with one stone. He filled the province’s coffers but also provided Canadian manufacturers with solid protection against British or American competition. The flow of liquid assets made it possible to give new impetus to railway construction and to save a company such as the Grand Trunk from bankruptcy. On the other hand, these protectionist measures aroused the displeasure of the American government, which thought they were a violation of the spirit if not the letter of the 1854 Reciprocity Treaty. Similarly, British manufacturers were angry at what they claimed was an attack on the free-trade philosophy that for 15 years had characterized Great Britain’s commercial practice. But in clear, firm statements Galt justified to the British government and the public the Province of Canada’s right to financial responsibility as a corollary of the right to responsible government. 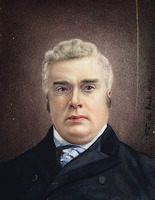 Thus, through both his lucidity in forging a political framework for the future of the British colonies in North America and his skill in restoring the province’s finances and encouraging its fledgling industry, Galt had in a short time become a rising star in its parliamentary firmament. In the 1861 elections he was returned in the town of Sherbrooke, but for the first time he had to face an opposition, led by William Locker Pickmore Felton*, who accused him of collusion with the Grand Trunk. 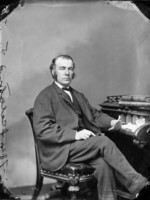 He continued to run the Department of Finance until 23 May 1862, when the Cartier–Macdonald government was forced to resign after the assembly rejected its Militia Bill. 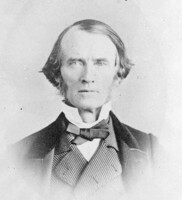 Galt was consequently in opposition during the Liberal governments headed by John Sandfield Macdonald* from 1862 to 1864. The province’s political system reached an impasse with an Upper Canada dominated by the Clear Grits facing a Lower Canada where Cartier’s Bleus held the majority. As a result, there was renewed interest in a federal system, which had been formulated in masterly fashion by Galt in 1858. 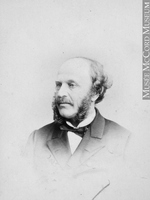 It was not surprising, then, that following new elections in 1863, the resignation of the J. S. Macdonald–Dorion government in March 1864, and the return to power of Cartier, John A. Macdonald, and Galt in a government headed by Sir Étienne-Paschal Taché*, there was a majority in the house in favour of setting up a parliamentary committee to examine the question of redefining the structure of the government. By an irony of fate the proposal for a committee came from Brown, in the opposition, and Galt found himself a member even though he had voted against its creation. The second irony was that the majority of the committee, including Galt, favoured a federal type of union and reported along these lines to the house on 14 June 1864, on the day the Taché government fell on a motion of non-confidence censuring a decision taken by Galt as minister of finance in 1859 to advance the Grand Trunk $100,000 to help it buy back some bonds falling due. The cabinet crisis was, however, to be resolved in an unexpected manner through a meeting between Brown and John A. Macdonald in Galt’s presence. It ended in a political truce and the formation of a coalition government including Brown, Taché, Macdonald, Cartier, and Galt committed to present at the next session a plan for a federal union that would encompass the other British North American colonies. Late in August 1864 Galt was in the delegation of ministers that went to Charlottetown to meet with the heads of the Maritime provinces, who had come together to discuss a legislative union of Nova Scotia, New Brunswick, and Prince Edward Island. He had the task of explaining to the conference how the prospective federation might work financially and how the question of each province’s debts would be settled. At the Quebec conference in October the main lines of the organization of a federal state were laid down, in terms very close to those proposed by Galt in 1858. Galt is credited with once more resolving an impasse, over the size of subsidies that the central government would have to grant the provincial governments. In proposing to assume the provinces’ debts and bonds and allocate to each a sum equal to 80 cents per inhabitant, he dispelled the reservations of the Maritime provinces, and they agreed to hand over to the central government the power to levy indirect taxes. Galt also played a part in securing the inclusion in the Quebec resolutions of a clause protecting the existing rights of religious minorities in regard to educational privileges. As a representative of the Anglo-Protestants in Lower Canada, Galt had staked his prestige on the adoption of this clause. The plan for confederation was widely publicized, in particular through a speech Galt delivered in Sherbrooke on 23 Nov. 1864, which was carried by most newspapers and even circulated in pamphlet form. In April 1865, after the proposal had been approved by the Legislative Assembly of the Province of Canada, Galt found himself in London again, with Cartier, Brown, and Macdonald, to enter into the negotiations with the British government for the creation of the new state. He then had the chance to savour the favourable reception given by official circles in London to the plan to which he had contributed in both broad outlines and numerous details. But with his colleagues from Canada he had to endure the vacillations of the Maritime provinces. 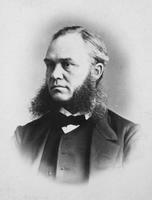 In 1865 and 1866 his time was increasingly taken up by his responsibilities as minister of finance. In this capacity he began discussions with American officials on the prospects for extending the Reciprocity Treaty of 1854. He secured passage of a measure reducing import duties on manufactured goods and authorization for the Province of Canada to issue bank notes constituting legal tender to a value of $5,000,000, a privilege hitherto restricted to the banks [see Edwin Henry King]. In the summer of 1866 Galt was faced with an unexpected political situation. In accordance with the arrangements made at the Quebec conference, a bill had been introduced to confirm and specify the educational rights of the Protestant minority in Lower Canada. The initiative led Catholic circles to ask for a similar guarantee for the Catholic minority in Upper Canada [see Robert Bell*]. This demand met with general hostility from the Upper Canadian members of the assembly but was considered by the Catholic members from Lower Canada to be an indispensable condition for their approval of the bill concerning the Protestant minority. Faced with the impossibility of finding assured majorities for its bill, the government chose to withdraw it. Galt understood the strategic necessity of this withdrawal, but he could not support it, since he had championed the Lower Canadian Protestants’ demand that their educational rights be guaranteed in the bill. 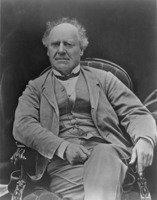 On 12 Aug. 1866 he resigned from the cabinet. Galt had played too big a part in developing the plan for confederation for him not to be invited by his former cabinet colleagues to be a member of the Canadian delegation at the London conference in December 1866 to draw up the final text of the agreement. At that time he was able to see that the future British North America Act included a clause guaranteeing the educational rights of the religious minorities in all the provinces, with recourse to the central government should a province alter these rights. Thus, from the first outline of the proposed confederation in 1858 to the final draft of the basic document in 1867, Galt left the mark of his broad vision, but also of his political realism, on the process that gave birth to the new Canadian state. His exceptional role was symbolically reinforced by the audience that Queen Victoria granted him on 27 Feb. 1867, a privilege shared by only a few of the delegates: Cartier, Macdonald, Charles Tupper*, and Samuel Leonard Tilley. 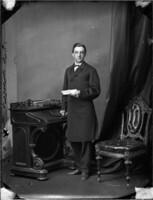 Galt was returned for the town of Sherbrooke to the federal parliament after agreeing, with some hesitation, to assume the responsibilities of minister of finance for the new dominion in Sir John A. Macdonald’s government. He was not to be part of it for long, however. In the autumn of 1867 the Commercial Bank of Canada, struggling with financial difficulties, sought the government’s help to avert bankruptcy. Galt first used his connections with the Bank of Montreal to seek a solution, but when banking circles refused to intervene, he decided to advise the cabinet to provide $500,000 in assistance to the Commercial Bank, in the interest of preventing the widespread panic that would ensue upon its closure. A second refusal resulted in the bank’s ceasing operations, and Galt, who felt that he had been “betrayed” by Macdonald in this matter, chose to resign, a step he took officially on 7 Nov. 1867. Subsequently he found himself in disagreement several times with the tactics employed by the Macdonald government, for example on the Nova Scotia question. But the idea of supporting the Liberal opposition or undertaking the role of an independent held little attraction for him, and in 1872 he did not stand for re-election in the town of Sherbrooke. 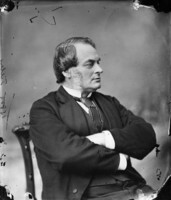 Despite many invitations to re-enter the political fray at the time of the early elections in 1874, either to support a Conservative party severely shaken by the Pacific Scandal [see Sir John A. Macdonald; Sir Hugh Allan*], or to join Alexander Mackenzie’s Liberals, Galt steered clear of political commitment to a party. As a result, for nearly two decades he could again give full play to his talents as an essayist, to his diplomatic skills, and to new business projects. From his youth Galt had given evidence of unquestionable writing skills, which probably owed something to his family background and to brief but serious studies. With his quick mind, he could master complex problems that he was able to analyse with discernment, explain brilliantly, and comment upon with conviction. For years these talents were used in the service of his superiors in the British American Land Company and of shareholders in other enterprises. 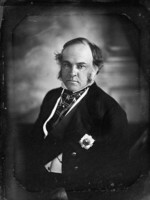 But on becoming a minister he had written a short essay, primarily for the British public, on the recent development of his province entitled Canada: 1849 to 1859 (published in London and Quebec in 1860), which was a striking piece taking stock of a decade that had seen an economic surge and political reform. Sixteen years later he wrote in rapid succession two texts on the relations between church and state, which were brought out in Montreal. 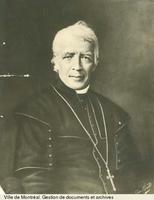 In Church and state, a short, scathing work, as in Civil liberty in Lower Canada, a more substantial essay, Galt took up arms against the schemings of the ultramontanes in Quebec, which had been revived by the Guibord affair [see Joseph Guibord*], and against Bishop Ignace Bourget*’s attempts during the provincial elections of 1871 and 1875 to give direction to the Catholic vote. In 1883 Galt published The relations of the colonies to the empire, present and future . . . (London) and The future of the Dominion of Canada . . . , in which he expressed support for the extension of the federative principle to the British empire as a whole. In his scheme, the imperial parliament was to determine general policies for the empire and the local assemblies were to deal with local concerns. Throughout his career as a businessman and politician Galt had proved a shrewd negotiator, with London financiers or bankers as well as with officials of the Colonial Office. His responsibilities as minister of finance in a province extensively linked by trade with the United States had given him the opportunity to enter the realm of international diplomacy. 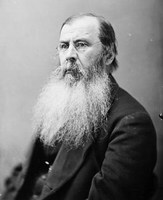 In December 1861 he had gone to Washington to sound out the American government’s intentions in regard to both the renewal of the Reciprocity Treaty and the implications for Canada of the chill in Anglo-American relations in the early part of the Civil War. On this occasion he had an interview with President Abraham Lincoln. In 1868, when Joseph Howe was trying to persuade the British authorities that Nova Scotia had valid reasons for withdrawing from the dominion, the Macdonald government pressed Galt to go with Tupper to London on a mission to express opposition to the province’s secession. Galt declined this invitation. After the Treaty of Washington was concluded in 1871, an arbitration commission had to be created to set the amount the United States would pay for the readmission of American fishermen to Canadian waters [see Samuel Robert Thomson*]. Galt was chosen by the British authorities to represent Canada at the meetings of the commission in Halifax in 1877. 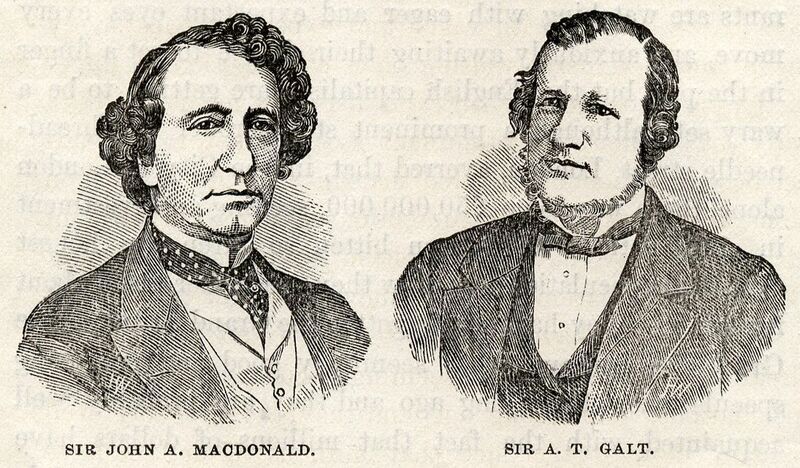 With the return of Sir John A. Macdonald to power after the 1878 elections, friendly relations were re-established between Galt and the prime minister, putting an end to the personal and political coolness between the two men that had lasted a dozen years. Macdonald could then entrust Galt with foreign missions, in particular to settle disputes with France and Spain over import duties. Consequently Galt left for Europe early in 1879, but he did not succeed in his negotiations given the general climate and the difficulties posed for a delegate of a dominion in having to act in harmony with the British Foreign Office and ambassadors. A fresh trip to Great Britain with Macdonald in August to arrange for British investment in the construction of the Canadian Pacific Railway set in motion the creation of the post of Canadian high commissioner to London. Galt was the first to fill it. 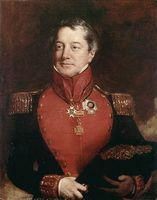 He left to take up residence in London in April 1880 and officially took up his duties on 11 May. The Canadian government profited by his good offices as a representative capable of promoting the grand designs of the National Policy, from the financing of a transcontinental railway to the encouragement of European immigration. Galt soon suffered in his new duties, however, because of the ambiguity of his status, insufficient financial resources to maintain the lifestyle required in the capital of the empire, and the tensions between his penchant for publicly revealing every notion he entertained and the Canadian government’s desire to see him maintain greater diplomatic discretion. 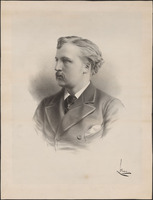 After offering his resignation several times, he left his post on 1 June 1883. 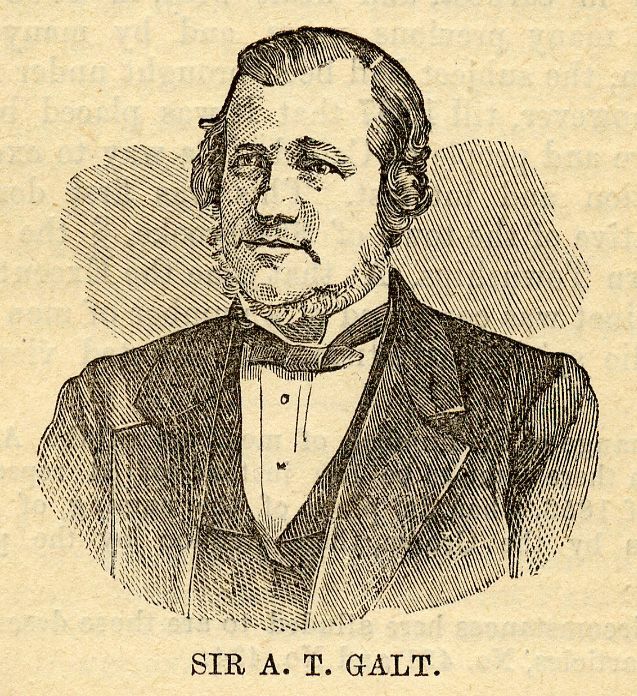 The 1880s also witnessed Galt’s return to the business world, this time in western Canada. In 1881, while he was living in London, he had been informed by his eldest son, Elliott Torrance Galt*, at the time assistant commissioner of Indian affairs in Regina, of the existence of coal deposits in the south of what is now the province of Alberta. In 1882, after inspecting the region, Galt founded the North-Western Coal and Navigation Company Limited with two British businessmen, William Henry Smith and William Lethbridge. One of his aims was to supply coal to the CPR, which was still under construction west of Winnipeg. To transport the coal Galt and his partners first set up a system of steamships and barges on the Bow and South Saskatchewan rivers but subsequently built a railway line from their mines to Dunmore, near Medicine Hat, which was completed in 1885. In these territories that were not yet settled Galt’s genius for organization, his solid connections with British financial circles, and the loyal, competent support of his son Elliott helped develop the Lethbridge region. The search for an American market for the coal led him to build a railway line in 1890 from Lethbridge to Montana, an undertaking made easier, in truth, by the grant of a million acres of land to the company by the Macdonald government. This grant led Galt and his partners to take an interest also in using the lands for agriculture and in making a start on a large-scale system of irrigation for the region. All these activities were the work of companies set up by Galt, his son, and a few partners, for example the Alberta Railway and Coal Company (1889) and the Alberta Irrigation Company (1893). After 1890 Galt, whose health had become delicate, scarcely ever left Montreal and his residence on Rue de la Montagne. Early in 1893 he had to undergo a tracheotomy because of throat cancer. Unable to speak, he communicated with his near relatives in writing. He died shortly before dawn on 19 September. Two days later an imposing funeral was held in Montreal, but the service was celebrated in Galt’s own home by a Toronto minister, John Potts, an old friend of his, who also delivered the funeral oration. He was buried in Mount Royal Cemetery. Galt was seen as a complex man of worth who had succeeded brilliantly in several very different fields of activity. Dr Potts observed: “He belonged to a superior order. He was a deep thinker, a distinguished economist, an enterprising and courageous businessman.” Others called to mind his agreeable and flowing eloquence and the attention his speeches on financial matters commanded. “His writings bear the stamp of purity and elegance,” it was said. Through his marriage on 9 Feb. 1848 with Elliott Torrance, a daughter of John Torrance*, Galt had become linked to one of the most prominent Montreal merchant families. His wife died, however, on 25 May 1850, shortly after giving birth to a son, Elliott. The following year Galt married her younger sister Amy Gordon Torrance, and they had two sons and eight daughters. 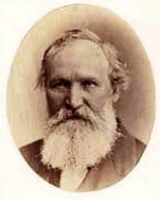 Elliott carried on his railway, mining, and land-holding activities in Alberta, and his son John had a brilliant career as a merchant and financier. Galt had been made a kcmg on 5 July 1869 and a gcmg on 25 May 1878. 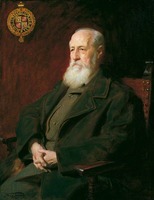 In 1883 the University of Edinburgh conferred an honorary degree in laws upon him. He belonged to a number of masonic lodges, for example the Victoria Lodge in Sherbrooke. A tall man with piercing, shrewd eyes and set lips, Alexander Tilloch Galt spoke calmly, convincingly, with assurance and a slight Scottish accent. Able to control situations with enough detachment to grasp their manifold complexities, expert in making the most intricate plans understandable to his audience, gifted with great skill in negotiating, he managed to reach the top rank among politicians of the generation that brought the Canadian confederation into being, on a par with John A. Macdonald or George-Étienne Cartier. At the same time, despite the interruptions in his activities as a businessman regularly occasioned by his public life, Galt was a tireless promoter of economic development. A man who knew his business, he was quick to grasp the effect that minute details would have on the practicability of an undertaking. 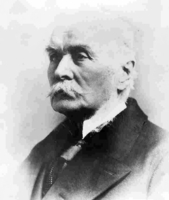 This attention to the concrete enabled him to transplant successfully to a pioneering country the new techniques perfected in the Industrial Revolution in Europe. Thus he was in step with the progress of the fledgling Canadian nation. In promoting the railway and industry he helped end the isolation of the Eastern Townships. Subsequently he was one of those responsible for creating through the Grand Trunk a modern link between the towns in the St Lawrence valley. Lastly, he was an architect for the development of a region in western Canada by the introduction of industrial techniques and processes for land improvement. This succession of vast undertakings had marked stages in a life characterized by an unflagging faith in the creative capacities of a New World nation. Galt can certainly be counted among the rare spirits who offered a new vision of Canada, often ahead of contemporaries. Certainly, over the years, like most people of his milieu, he had hesitated over the best strategy to pursue. For a few months in 1849 he believed it necessary to get out of the colonial rut by peaceful annexation to the United States. At bottom, however, he was an advocate for a Canadian nation and he played a decisive role, through both his vision and his realism, in the process that was to unite the various British North American colonies into a moderately decentralized federal state. He believed that this young nation should, if need be, take shelter behind a protectionist rampart to develop its own industry, but that its political and economic maturity had to be accompanied by wide autonomy in the international sphere. Very early, in the 1860s, he perceived that various circles in Great Britain were again questioning the maintenance of the colonial tie with Canada, as a potential source of conflict with the United States. After 1867 he was convinced that confederation had to be completed by Canadian independence; in 1871, for instance, he demanded the right for the dominion to negotiate the fisheries question with the United States without interference from Great Britain. 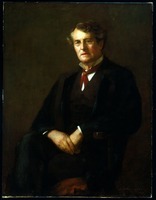 On the other hand, in the 1880s, when imperial sentiment had reasserted itself in Britain, Galt was one of the advocates for an imperial federation, one that would no longer be based on the dependency of colonies upon the mother country but rather on equality between independent nations nurtured in the principles of British parliamentary government. 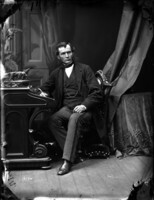 In short, on all the questions that marked Canada’s progress towards a modern state – immigration, the railway, the National Policy, confederation, and even the future commonwealth – Alexander Tilloch Galt left his mark as a keen-sighted visionary, a dynamic promoter, and a responsible statesman. In addition to the works mentioned in the biography itself, Alexander Tilloch Galt is the author of The Saint Lawrence and Atlantic Railroad: a letter to the chairman and the deputy chairman of the North American Colonial Association (London, 1847); Speech of the Hon. A. T. Galt, at the chamber of commerce, Manchester, September 25, 1862 (London, 1862); Speech on the proposed union of the British North American provinces; delivered at Sherbrooke, C.E., by the Hon. 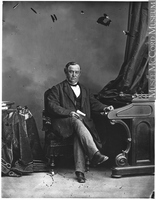 A. T. Galt, minister of finance, 23rd November, 1864 (Montreal, 1864); Speech of the Honorable A. T. Galt, minister of finance of Canada, in introducing the budget (Ottawa, 1866), which also appeared in French as Discours prononcé par l’Honorable A. T. Galt, ministre des Finances du Canada, en présentant le budget (Ottawa, 1866); Prohibition; great speech of Sir A. T. Galt, G.C.M.G. (Ottawa, 1867); Statement of the Honorable A. T. Galt, in reference to the failure of the Commercial Bank (Ottawa, 1867); The political situation; a letter to the Honorable James Ferrier, senator (Montreal, 1875); A protest against the efforts now being made in Canada by the Roman Catholic hierarchy to put into practice among her majesty’s Protestant subjects the doctrine of the syllabus and the Vatican (London, 1877); Conférences pour la négociation d’une convention réglant les relations commerciales entre la France et le Canada: première conférence, 15 mars 1882 (s.l., 1882); His Excellency the Marquis of Lorne . . . governor-general of Canada, &c.: [report upon the present commercial policy of Great Britain and its effects] ([London?, 1882?]). The most important manuscript sources for Galt are at the NA, in particular the A. T. Galt papers (MG 27, I, D8), but also the John A. Macdonald papers (MG 26, A) and the C. S. Gzowski papers (MG 24, E9). The standard reference work is still O. D. Skelton, The life and times of Sir Alexander Tilloch Galt (Toronto, 1920; [new ed. ], ed. Guy MacLean, 1966). A book of recollections by Galt’s daughter, Evelyn Cartier [Galt] Springett, For my children’s children (Montreal, 1937), describes his family life, and the biography of John Galt in DCB, vol.7, provides the background for his childhood and youth. Information on Galt’s activities in the Canadian West is given in A. A. den Otter, Civilizing the West: the Galts and the development of western Canada (Edmonton, 1982). The author’s own work, “Une bourgeoisie et son espace: industrialisation et développement du capitalisme dans le district de Saint-François (Québec), 1823–1879” (thèse de phd, 2v., univ. du Québec, Montréal, 1985), has information on Galt’s business activities in the Eastern Townships. 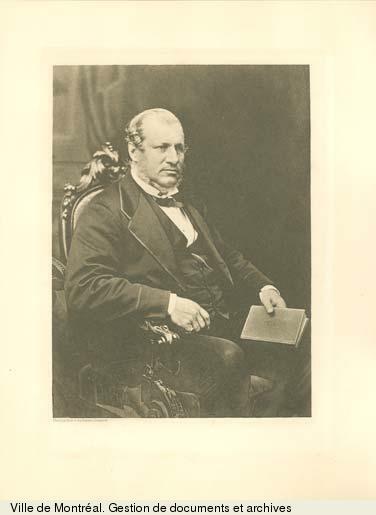 His role in railway enterprises in pre-confederation ministries is extensively set out in various standard general works, including G. R. Stevens, Canadian National Railways (2v., Toronto and Vancouver, 1960–62), 1; J. M. S. Careless, The union of the Canadas: the growth of Canadian institutions, 1841–1857 (Toronto, 1967); W. L. Morton, The critical years: the union of British North America, 1857–1873 (Toronto, 1964); and Creighton, Macdonald, young politician and Macdonald, old chieftain. On specific subjects see D. F. Barnett, “The Galt tariff: incidental or effective protection?” Canadian Journal of Economics (Toronto), 9 (1976): 389–407, and G. P. de T. Glazebrook, A history of Canadian external relations (rev. ed., 2v., Toronto, 1966), as well as the following reference works: Canadian directory of parl. (Johnson); Cyclopædia of Canadian biog. (Rose and Charlesworth), 1: 75–76; J. Desjardins, Guide parl. ; Guide to Canadian ministries; Political appointments, 1841–65 (J.-O. Coté; 1866), 19, 42–43; Political appointments and judicial bench (N.-O. Coté); and Wallace, Macmillan dict. Jean-Pierre Kesteman, “GALT, Sir ALEXANDER TILLOCH,” in Dictionary of Canadian Biography, vol. 12, University of Toronto/Université Laval, 2003–, accessed April 26, 2019, http://www.biographi.ca/en/bio/galt_alexander_tilloch_12E.html.